Wecooker Company owns amazing Research & Design ability, we provide product design and engineering service for our customers exclusively. This 2-burner folding Portable Gas Grill has 2 stainless steel Grill Gas Burner, total 20000 BTU/HR, cooking area of 285 SQIN. The Foldable Gas Grill folds to compact size with easy to pull handle and wheels. The lid of this Gas Grill with different powder coated colors available to meet customer's demand. Work with disposable cylinder or adaptable to 20lb gas tank. This Gas Grill works great, easy to set up and move, also built up well and sturdy, Highly recommend for everyday use on an apartment deck. Looking for ideal Portable Gas BBQ Manufacturer & supplier ? We have a wide selection at great prices to help you get creative. All the Foldable Gas Grill are quality guaranteed. 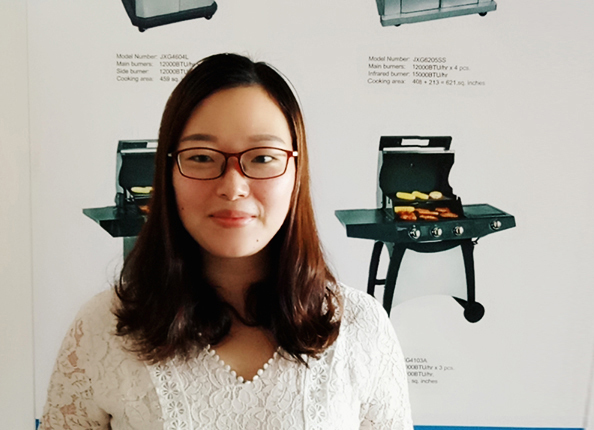 We are China Origin Factory of Portable Trolley Gas BBQ. If you have any question, please feel free to contact us.